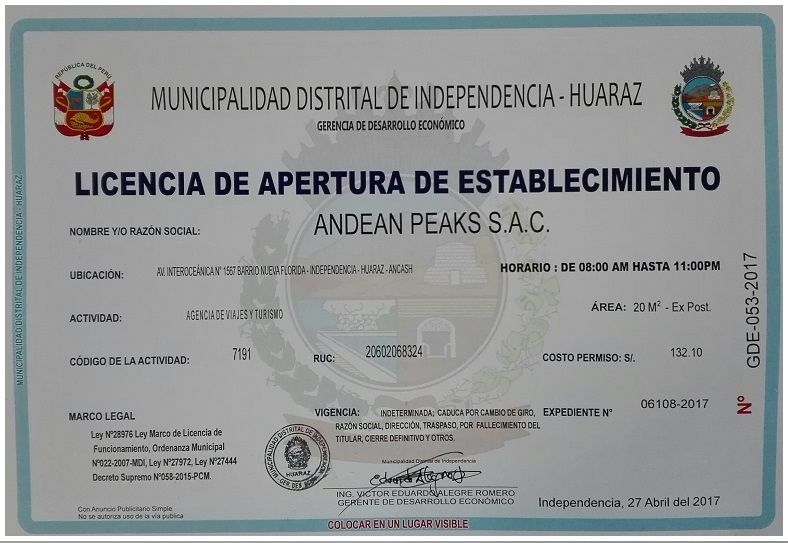 Andean peaks founded in 2010 by two brothers mountain guides certified by the international union of mountain guides (UIAGM/IFMGA/AGMP). We are a company focused on the growth and development of tourism, We offer good quality services, with great responsibility and kindness to our clients. 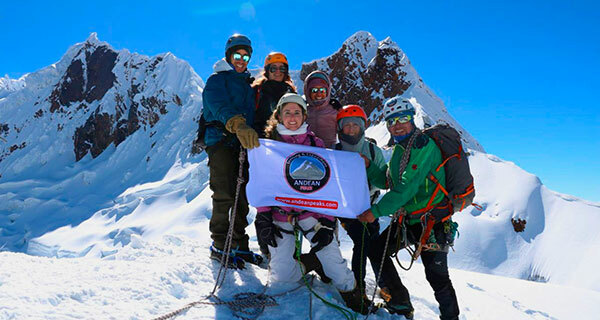 We also count on very capable professionals in the field of adventure activities. 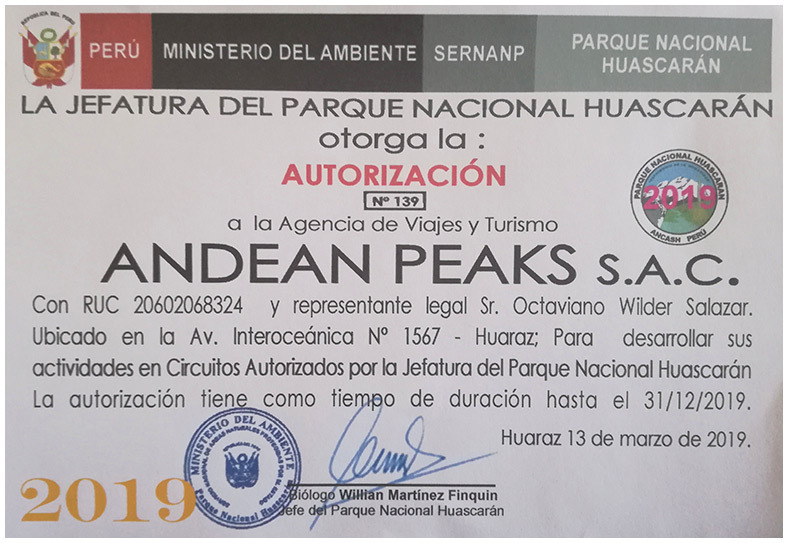 Andean Peaks has been accredited by the Tourism Ministry in Peru, and has been licensed by the Peruvian Ministry of Foreign Trade and Tourism under Andean Peaks. As such it has to comply with all the policies and laws that have been enforced for travel agencies. Our company has been registered with the number 20602068324. 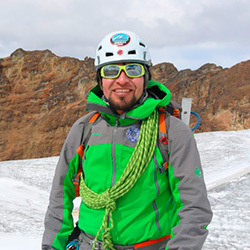 Born and raised in the small village of Yarush in 1987, at the foot of the Cordillera Blanca, his passion for mountains started in his adolescence. 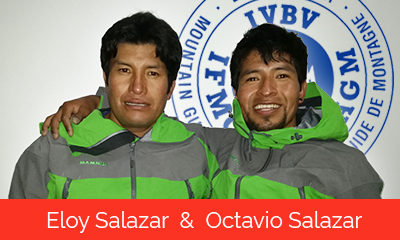 In 2003, he developed an interest for rock climbing, together with his brother Eloy. 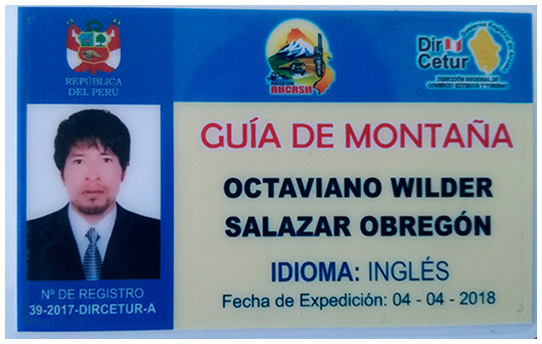 Octavio obtained his diploma as an “Official High Mountain Guide” in 2009, finishing first of his year group. 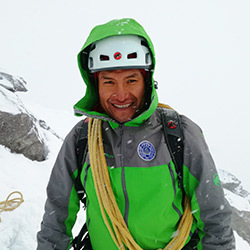 He rock climbs and also opens new trails in the Cordillera Blanca as well as internationally. 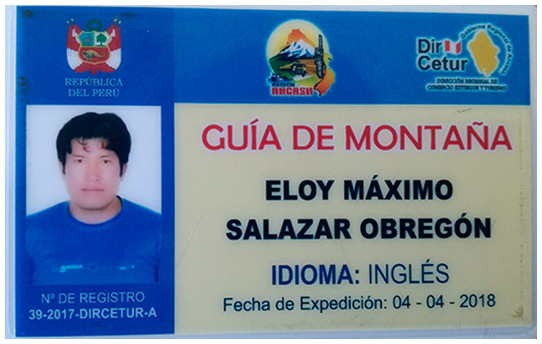 Thanks to his working experience, he can climb most of the mountains within the Cordillera Blanca. 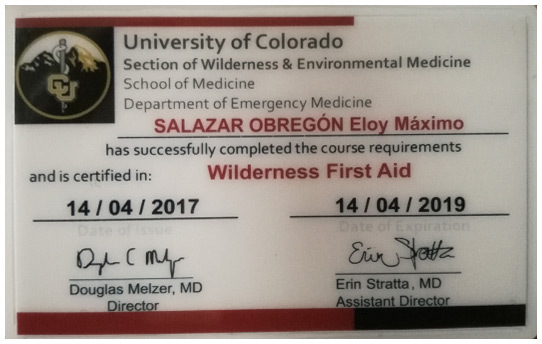 He is also a student of the Santiago Antunez de Mayolo University of Sciences (Applied Mathematics). 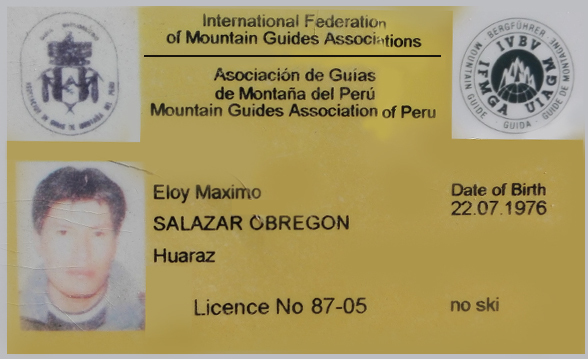 Together with Joe Simpson and Simon Yates, Eloy participated as a Siula Grande glacier specialist in the 2003 documentary “touching the void” which was shot in the Cordillera Huayhuash. 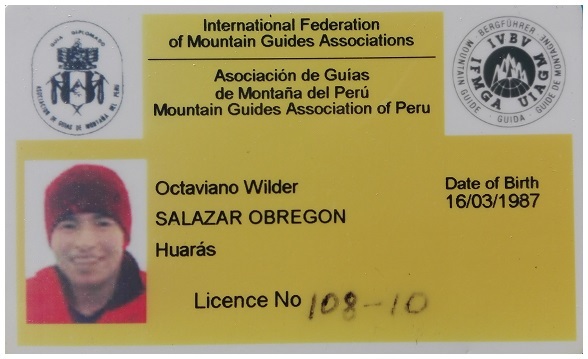 Wilder was born in 1985 in Huaraz, Peru. 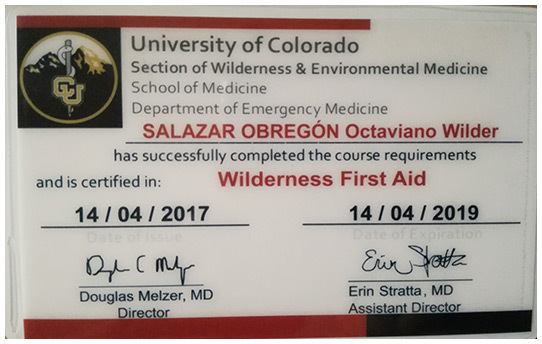 When he is not working on the computer he rides his mountain bike or takes part in mountain expeditions. He also likes traveling and Rock and roll music. 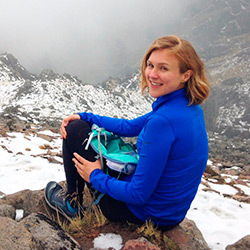 Hilary is a marketing consultant, adventure seeker, and lover of all uphill pursuits. Though she is originally from the United States, she spends most of the year running through the mountains and chasing summits in other corners of the world. She was born in Huancayo, studied administration and marketing in UTP (Technological University of Peru), she currently lives in Lima. 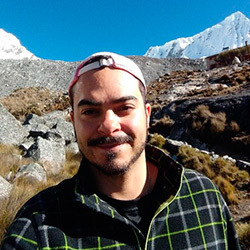 Gustavo is a Civil Engineer, amateur astronomer and a trail and trekking lover, with experience on several trails in Brazil and some in Argentina, Chile and Peru. 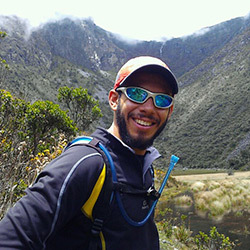 Nowadays Gustavo is a representavive for Andeans Peaks in Brasil, located in São Paulo city and intermediate the tour packages and expeditions for Andean Peaks. 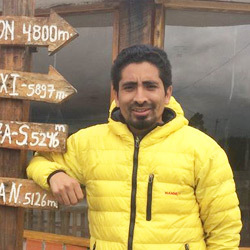 His skills as engineer and amateur astronomer are useful for the enrichment of the experiences to be lived on the expeditions offered by us in the Peruvian Andes. 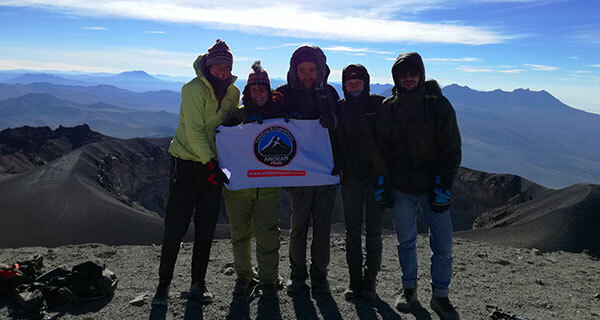 "Nothing compares to experiencing the expeditions offered by Andean Peaks in the White Mountain Range, at high altitude, in places that still are little explored by man and so rich in unique natural beauties, with a night sky that makes us want to touch the stars and with the daily presence of small and graceful wild animals in their natural habitats"
Clare is kind, creative, active, and really loves rock climbing. 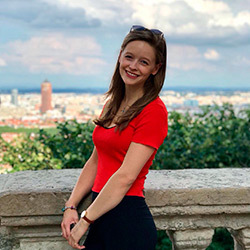 She is currently studying French, Spanish and Portuguese at the University of Bristol, and has spent the last 6 months working for the Runnin'City app in France, where she was responsible for marketing and translation. 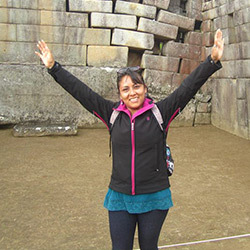 She has since moved to Brazil to help with marketing and administration for an NGO, and will be joining Andean Peaks this season 2019 to work with marketing and translation, among other things. 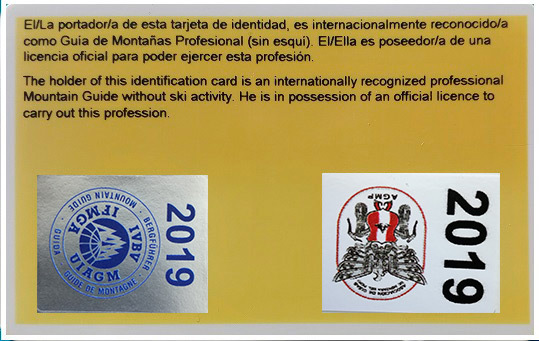 Our goal is for the visitors of our website to have access to all the information they are looking for, the best tourism services, with the best price and quality. In the years to come, as the leading enterprise in Peru and South America, we will inform customers on tourism services, elaborating and selling new packages, combining quality, affordable prices, experience and professionalism. In this way, we will be able to achieve customer satisfaction. We offer good quality services. 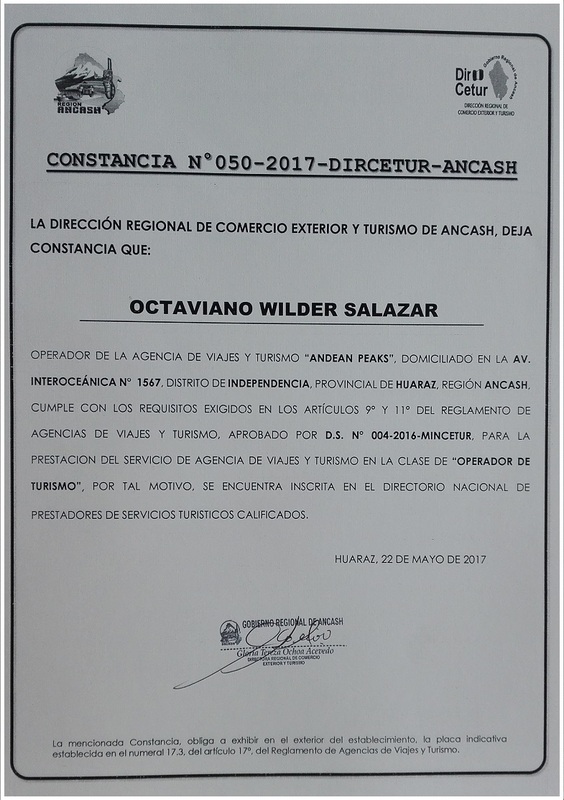 The guides and staff who work for our firm are all qualified and authorized by the National Ministry of Tourism.